Starting in 1980, Firestorm began appearing as a back-up feature in the Flash. 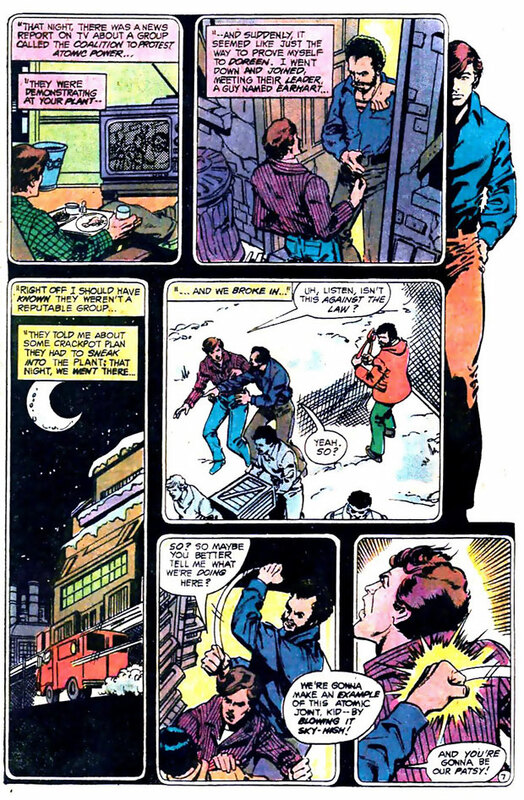 Check out below this original page by George Perez from Flash #289, featuring a retelling of Firestorm’s origin. 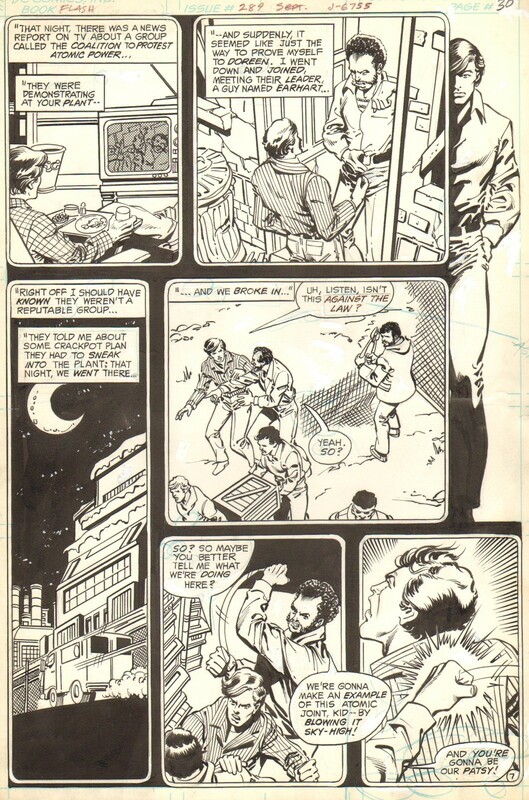 Not only does this page feature fantastic original art by George Perez, it also happens to be his first work for DC Comics! Click the image to enlarge so you can truly appreciate all of Perez’s efforts! For comparison, below you’ll find a colorized copy of that page. Like the original page? It’s currently available on eBay for $325. Too rich for my blood, but hopefully the piece will find a good home with a Match-head. My thanks to Eric Sellers for the heads-up on this art work! Thanks, Eric! Posted in: Comic books, Firestorm #01: Original (Ronnie/Martin), Flash back-up stories, George Perez, Ronnie Raymond. Great page….but $325 for a page that doesn’t even have Firestorm in it…OUCH!!! I do love how all of the old art pages have the word balloons on them, I miss that! $325.00 isn’t bad for a vintage Perez page, which is why it’ll surely sell for more before the 13 days are out. Personally, I have no real interest in published sequential art, and even covers/pin-ups have a limited appeal. I commission stuff I want to exist in the world from people who can manifest it far better than I ever could. Truth to tell, I’m not even particularly concerned about keeping most of them in my possession once that conception has been acknowledged through publication. I just love providing the motivation to bring the art into existence. This already exists, and I can get a color copy of the entire story for $1.49 in another current option. I guess I’m to art collecting as Chester Brown is to romantic relationships. My brain just doesn’t compute the compulsion to own this stuff.